Jordin Tootoo has seen a lot in his journey from the northern Canadian territory of Nunavut to the bright lights of the NHL. He has experienced both intense highs, as well as challenging lows. Through it all, he has maintained his focus on his goals, his dedication to his family and friends and his commitment to community, both in his adopted NHL cities, as well as his beloved hometown of Inuktitut. Jordin has taken all of these experiences, along with his revered status in Native and Inuit communities around North America, and used them to provide a positive example to kids of what can be achieved when you follow your dreams. He also underscores how important it is to utilize the presence of family and community when things don’t always go your way. Recently, Jordin travelled from Detroit, across the Canadian-border to the nearby native community of Walpole Island. He spoke to a large group of both children and adults at the local sports complex, and also posed for pictures and signed some autographs. 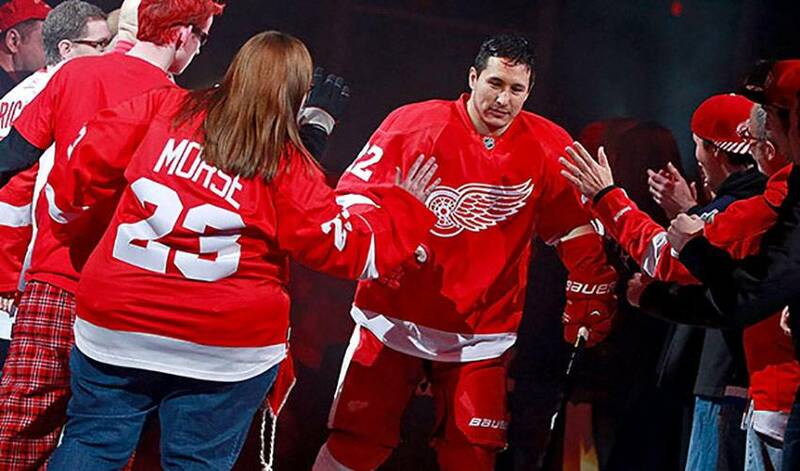 The visit had an impact on both Jordin and the people of Walpole Island who declared the day ‘Jordin Tootoo Day’. Thank you Walpole Island for all your support.